We regularly provide helicopter services to customers from nearly every facet of the helicopter industry. Our highly-skilled pilots specialize in precision long-line work and are capable of a wide variety of missions. From animal capture to geophysical survey, if a job requires a helicopter, odds are that we have experience doing it. We have some of the most experienced and well-trained vertical reference pilots in the industry with over 7000 hours of experience on average. Precision long-line work is what our company is known for and we strive to maintain our reputation as a safe and reliable external load transport company. We are proud to partner with two of the premier heli-ski companies in Southcentral Alaska. We estimate our Astar fleet is responsible for over 20 million vertical feet of skiing nirvana per season. 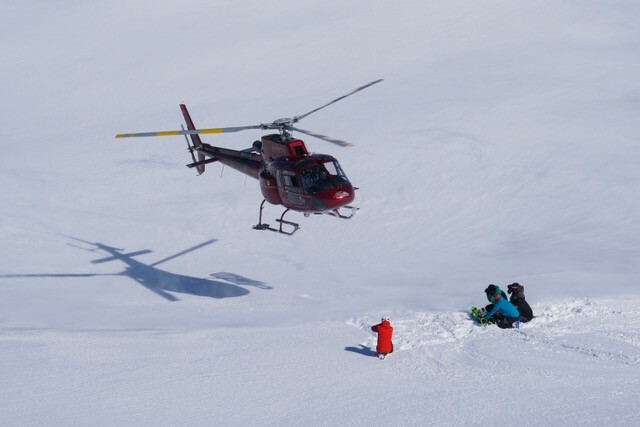 You know your heli-ski vacation is in good hands when you are flying with us. We currently contract with state and federal government agencies to provide helicopter initial attack and support for firefighting efforts covering over 70 million acres of Alaskan wilderness. We are proud to help pioneer the use of the venerable BK117 for firefighting use in the U.S.
Exploration support is our specialty and we are proud to provide helicopter support services to all size projects. From initial claims staking to construction, development, and production we have the experience and equipment for all types of exploration work requiring helicopter transportation. We regularly provide a wide variety of general charter or support helicopter work. With our diverse helicopter fleet and array of support equipment we can scale efficiently to meet your project’s needs. From single day filming to repeater maintenance to aircraft transport we are happy to help you get your job done. We have flown for all types of industries and agencies and can adapt our operations and safety policies to meet your requirements. We have received audits and approvals for BARS, OGP, ISNET and other industry safety systems. We offer full custom ERP integration and can tailor our operations to your project’s specific needs.